A quick rundown of the top free things to do in Wigan. We also have a page just for paid activities around the town centre here. Museum of Wigan Life always has a range of free exhibitions and acitvities. Currently, they have a fantastic Egyptian exhibition on display (I visited on the opening day!). They have some great artifacts on show and information about the Egyptian’s daily lives and beliefs. And I heard, due to its success, that it’ll be expanding soon. As well as the Egyptian display (ending in June 2016), there’s a permanent exhibition about Wigan and its rich history – with some items dating back to the Roman era. And then there are tons of information upstairs if you want to read in detail about the local area’s history or find out about your family tree. There’s a new large area for children to play, an outdoor gym area, the beautiful pavilion (which sells fantastic ice creams), and plenty of open space to take the dog for a walk or play a little game of football, as well as well kept formal gardens and a few courts. In the Summer there’s quite a few gigs and events at the bandstand in the park – so keep your eyes peeled for listings! Haigh Hall Country park will always be in the top list of things to do in Wigan. With extensive land and woods surrounding, as well as the Georgian stately home itself – you can spend a full day there wandering around this 200 acre park. There’s a number of woodland and historical walks you can take. While they are upgrading the amenities – to preserve the house and keep from becoming too damaged, it will be still open to the public and always free to visit. There’s a great park area for kids, as well as a cafeteria, crazy golf, multiple gardens and the miniature railway. There’s also a great view of Wigan from the hall itself – see if you can spot your house! 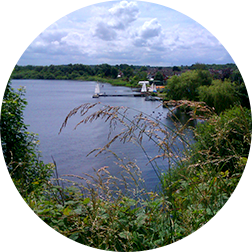 Scotman’s Flash is the closest and the largest of the Wigan Flashes to the town centre – and it’s a real beautiful escape from busy town – an oasis right near the heart of Wigan. It’s now a nature reserve and there’s a variety of birdlife (over 200 species! ), mammals and amphibians for you to see as you walk around the water. During the Summer there are a number of inexpensive activities on the lake, such as canoeing and sailing (for all age groups), but it’s also just nice to walk around and try to spot wildlife, and have a picnic by the water. It’s an easy walk down the canal and great for a quick cycle. If you’re feeling fit, then going all the way to Appley Bridge or even Parbold is a very beautifully green and quiet, peaceful journey (you can also catch the train back if you’re not up for the walk home!). But, if you just want a quick walk, finishing at with a little drink or snack at The Crooke Inn is still lovely and great for kids, as there’s a little park there. 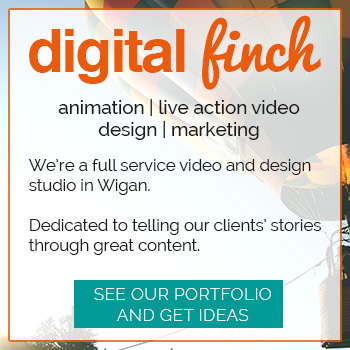 It’s easy to access by the Wigan Pier, or behind DW Stadium. Wigan Library, in the new Wigan Life Centre building, host a range of free weekly and one off activities and mini festivals for people of all ages. For example, they hold a a few regular courses which updates fairly often, as well as reading groups, help with computers and knitting or art basics, with events suited for children and adults alike. For the full list of activities head to their website.